Wiltshire has a rich farming tradition and its farm buildings are a familiar part of our landscape. Each one is unique and gives us a fascinating insight into how we used to live and farm the land. Wiltshire, like all counties, is losing farmsteads at an alarming rate. The changes in agriculture in recent history have caused older buildings and yards to become redundant. Expensive to maintain, they are lost to demolition or conversion or are simply falling down. There is an urgent need to study and record farmsteads before it is too late. 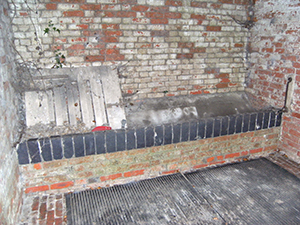 The Wiltshire Buildings Record is undertaking a major project to do this. 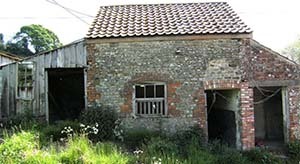 We are recording Wiltshire’s farm buildings for future generations. The work is held in our archives. 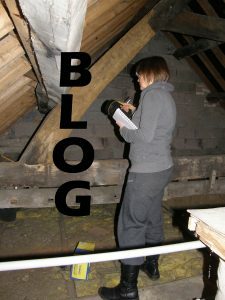 The project is led by experts in historic buildings and the work is carried out by trained volunteers. 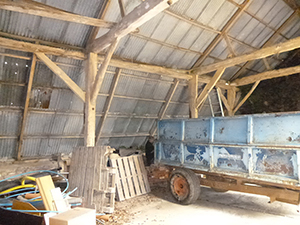 If you have farm buildings, we warmly invite you to take part. Volunteers can research the history of your farmstead and share it with you. We can provide a copy of the work, free of charge. The information may be of practical use in applying for Stewardship schemes, eg as part of a Farm Environment Plan. We will record architectural details and produce a plan of the farmstead. Volunteers are briefed in H&S requirements and insured against accident. We respect privacy and work within the your guidelines. If you are interested in recording Wiltshire’s heritage we would like to hear from you. Are you interested in history, farm buildings, photography and landscape? You can meet like-minded people, learn new skills and take part in a valuable project. We will provide practical training and a mentor to guide you and encourage communication between volunteers. The farmstead we see today is a product of different factors. The geology determined the soil and type of farming, and thus the range of buildings needed. Improvements in transport encouraged specialisation for growing markets. New technology and fluctuations in wealth influenced further change and adaptation. Surviving buildings range from different eras – the barn is often the oldest – some even have medieval origins. The majority are 19th and 20th C, although a surprising number exist from the 18th C and earlier. The result is today we have diverse collections of farm buildings, deeply rooted in our landscape and history. Every farmstead has its own story.